We LOVE Practice Monkeys! Sorry, I just had to get that out of the way before I could continue on with this review of a Family Subscription to Live Violin Classes. We received a 3 month subscription, plus one assessment for promotion to review. The assessments for promotion are not part of the regular subscription. Those are an additional purchase that are required to move on to the next level. 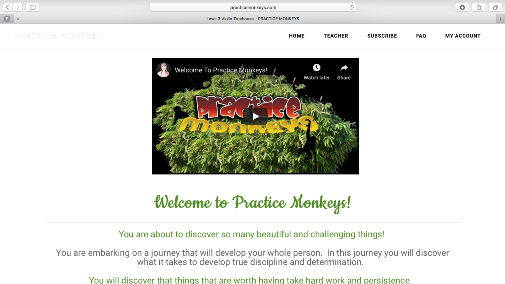 So, by now you may be asking yourself just what is Practice Monkeys? 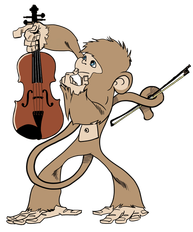 Practice Monkeys is a great online music class taught by Sarah Van Kleeck. Sarah Van Kleeck is quite possibly one of the nicest people you'll ever virtually meet. I'm not typically an online video chat kinda person, but she made me feel so at ease, and it was honestly like she was right here. She made me feel like we'd known each other for a long time because she was so kind, so understand, so personable....just so darn nice! The classes are designed in such a way that the student doesn't need any prior music experience. My son had never even seen a real violin before this class. I had never touched one before the class! So this is perfect for the absolute beginner'iest beginner out there. There are various levels from very young and beginner, older student and beginner, those with more experience, etc. We were put into the class for his age and beginner. 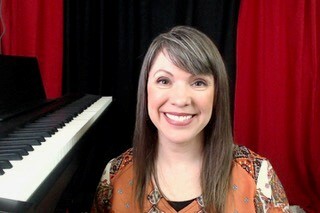 There are archived videos and live classes. There are various parts to your class. There's the live classroom that meets at varying days and times depending on your level, the assessment classroom when you meet one on one with Sarah, and then video archives and your Treehouse. We spent a LOT of time in the Treehouse because Mr. B's special needs caused us to need to take things a lot more slowly than I initially anticipated. 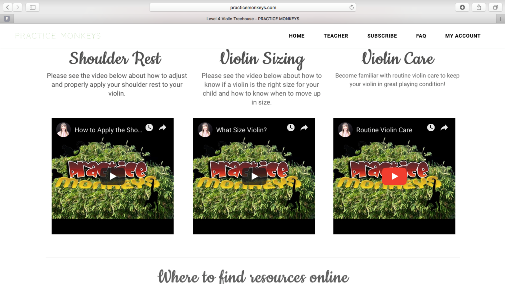 Here you find all the archived videos of how to hold the violin, where your fingers go, how to tune it (seriously, you've no idea how hard this was for me BEFORE I watched the video! HA!) and all of that stuff that you just don't think about until you're in the moment, scratching your head, because you have no idea what you're doing. Sarah Van Kleeck thought of everything, and breaks it down in to step by step increments that make it so easy! Like I said before, neither of us had ever touched a violin before, and I don't think Mr. B had ever even seen one in person. I have always wanted him to play, but the fund for classes have just never been in the budge. The opportunity to review this came up and I jumped on the chance! I was just going to borrow a violin from a friend, but Mr. B was so very excited so I ended up buying him one instead. Just a "cheap" student 4/4 violin for about $60 shipped to my door. It was the full kit, with the case, rosin, bow, a little cleaning cloth, and even an electronic tuner. I was sold! WOOHOO! I had been warned to buy more rosin, but I really don't know what the difference is in them. So, we just used what it came with, and the bought rosin is still in the packaging in the violin case. So here's where the funny story happens. I'm sitting in the middle of the kitchen floor, tuner out, violin in pieces in my lap. I have no idea what I'm doing, and for whatever reason I don't think to watch the beginner videos. No...that'd have been far too easy! It my mind, I can tune a guitar (usually just by ear) so a violin can't be that hard? Right? RIGHT? WRONG! Folks, I was so clueless, I broke a string, nearly put out an eye, and determined my violin was a piece of junk because the bridge wasn't even attached! I had no idea bridges aren't supposed to be glued down in the first place. I had no idea that you push in on the top pegs, and I had no idea the little screws at the bottom were for fine tuning. Watch the beginner videos if you have never held a violin before! I went so far as to contact the online retailer, telling them their product was a $60 piece of garbage, and request a full refund. THEN I had to contact them again, apologize profusely, and tell them what happened. Then I had to tell the UPS guy the same story when he arrived the next day to pick up a package to send back, that wasn't going back. Everyone got a good laugh. After my blunder, we finally got started. Mr. B did not take off like a musical prodigy like my mind had thought he would HAHA. He really struggled with properly holding the violin, holding the bow, etc. As a result, we spent a great deal of time going over and over those beginner videos. I honestly thought we were very far behind, and I was in a panic thinking oh my goodness, I don't know what to do! I thought I had made a huge mistake. I thought we had to all be on the same level to attend the live classes, so I was solely using only the archived videos as a reference. Finally, in my moment of desperation, I emailed Sarah to ask for her advice. She suggested we schedule a private session. So that's what we did. I held my phone, Mr. B held his violin, and with in that 25 minute private session she was able to help him overcome TWO MONTHS worth of frustration and mistakes! She was able to really get on his level, and explain things in such a way that he truly got it. She definitely has special needs experience. He was finally able to hold his violin correctly, and he's working on the bow mechanics now. She also informed me that there is no set level for the class meetings! It's practice! So most are on varying levels within that level. Some would be where Mr. B is, and some would be ahead. She also reassured me that he was doing just fine for never having held one before, and that given time he would do even better. I felt so much better, and so did he! I couldn't believe the boost we both got from that video chat! He now practices going from rest position to shoulder hold daily, and he places his fingers on his bow daily. We're going to continue with that until it becomes more natural and automatic for him. He's left-handed, so he naturally wants to do it all backwards. I had had others tell me it would be best to get one that had strings for a left-handed player, but Sarah said left-handed was ideal for violin because it is the left hand that plays the notes, he just has to get used to holding it on the awkward-for-him shoulder. That made so much sense, and it also gave him a huge confidence boost to try even harder. We haven't been able to get to a live class yet because I have to move a few things around in our schedule, but I'm certainly glad to know it's ok for him to be on his own level in the class! I'm hoping after things get settled down a bit here that I can renew his subscription so he can continue. The cost is a LOT less than traditional classes, and I can't see any way that they're different. She can see each student, see where they're mistakes are, etc. It's just like an in person class, but from the comfort of your living room. Here, classes are $20-$30/30 minutes every week. That's $80-$120/month. And that is per student. 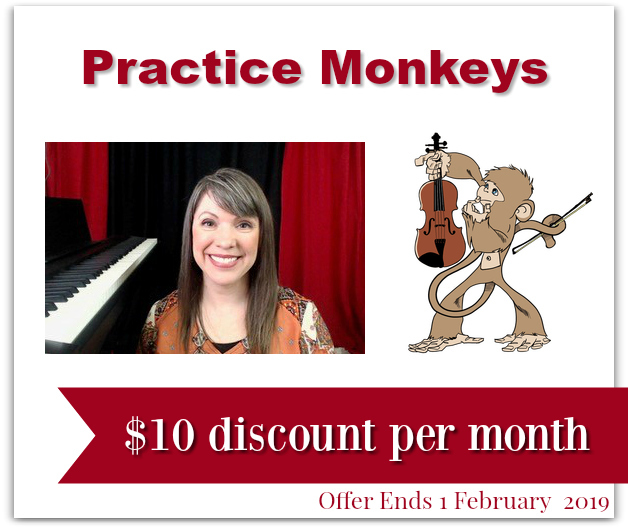 Practice Monkeys is currently $49.00/month for a FAMILY! Well, I think it's pretty obvious I think Practice Monkeys is pretty awesome. It's great for special needs because there's no pressure to rush and hurry, and you don't even have to leave the house to go to class-you just log on. You do need a reliable internet connection. 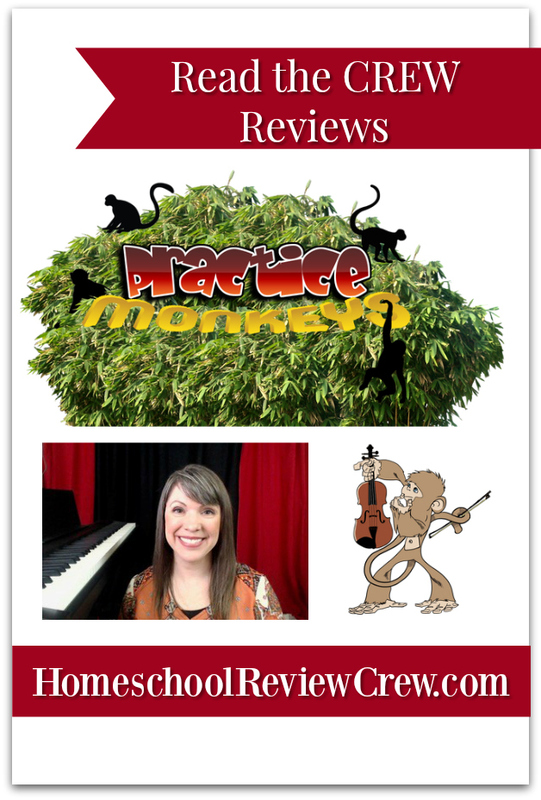 I'm only one of several members of the Homeschool Review Crwe who had the amazing opportunity to review Practice Monkeys. PLEASE click the banner below to read their reviews, too!